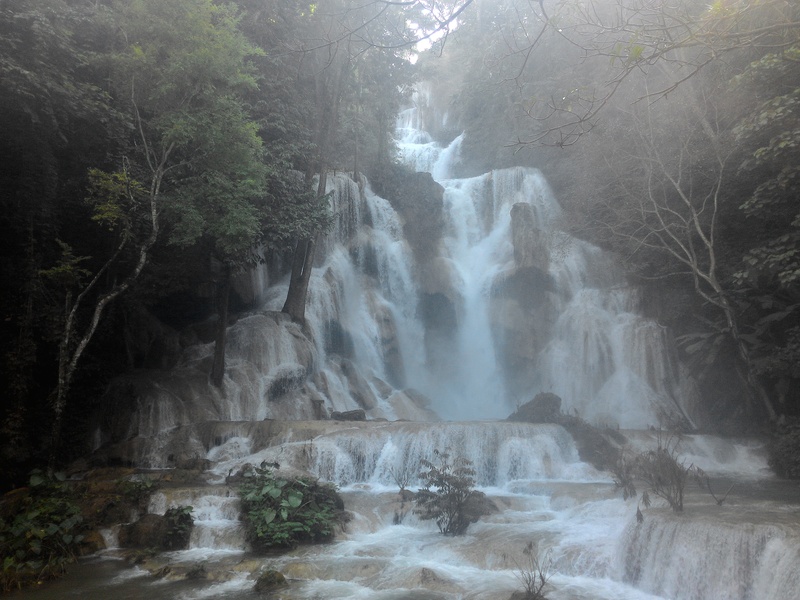 Laos is the backpackers paradise and home of waterfalls in Southeast Asia. Having a short period of time to do some backpacking? Everything is possible now. 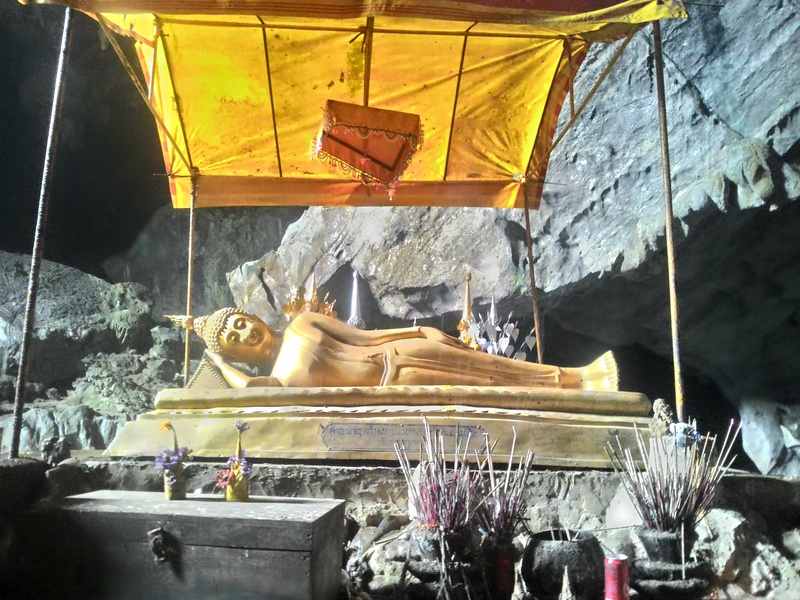 Discover the hidden gems from the capital of Laos up to the Northern like Vang Vieng and Luang Prabang. 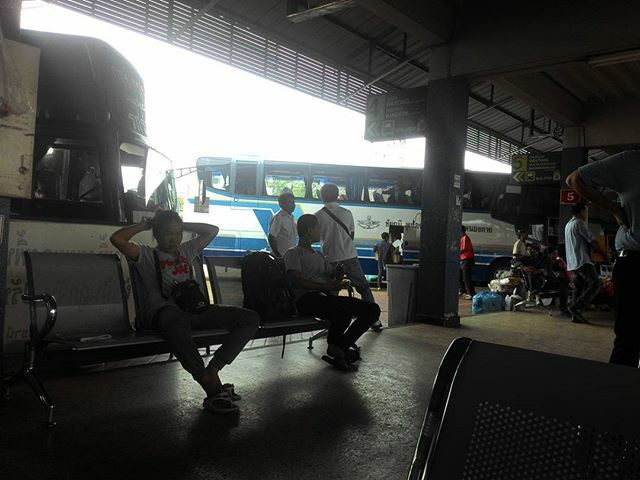 From Bangkok, I went straight to Chatuchak Bus terminal and headed to Udon Thani nearby the Thai-Lao border. 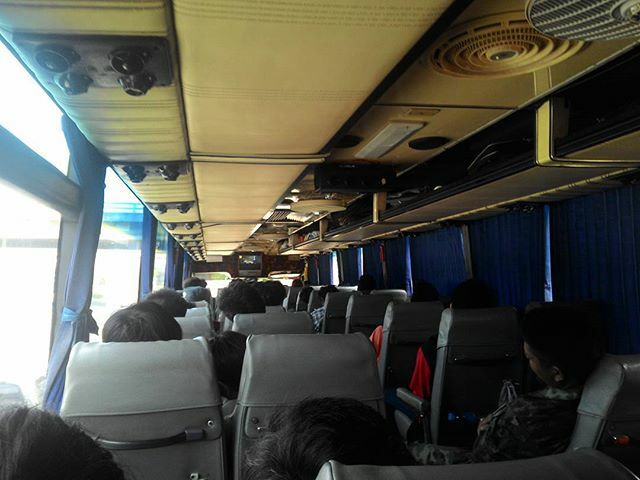 It was an 11 hour bus ride to Udon Thani passing through states like Patum Thani, Nakon Ratchashima & Khon Kaen. By the time i arrived at Udon Thani, it was quite late. 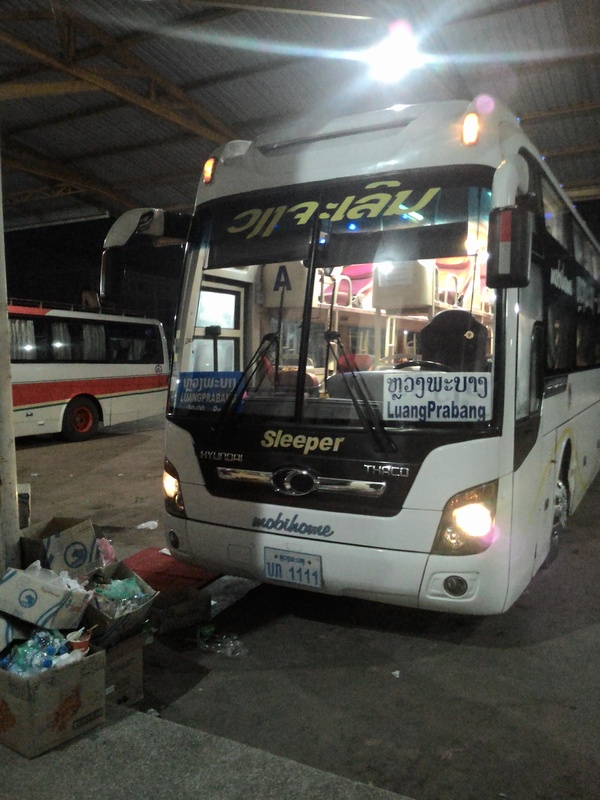 I have to wait for the bus to Vientiane the next morning (just 80 baht!) so I decided to stay for a night here at Asia Backpacker Hostel and explore the streets here. My day started in Vientiane and I arrived in the morning. I started hunting for hostel by riding the săhm-lór and I dropped off to find my hostel. 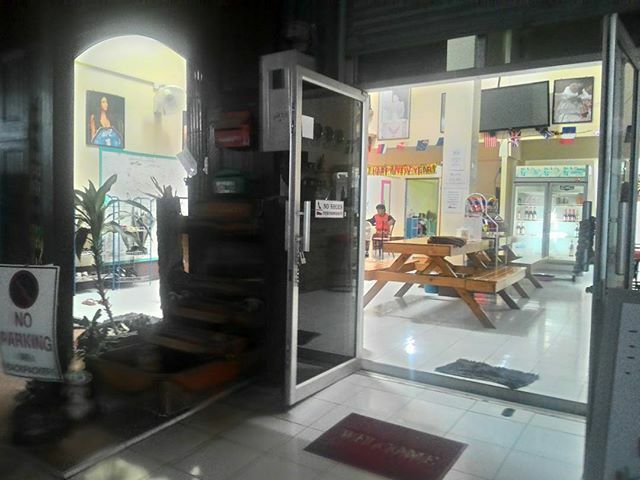 I came across a Niny Backpacker Hotel and stayed for a night. 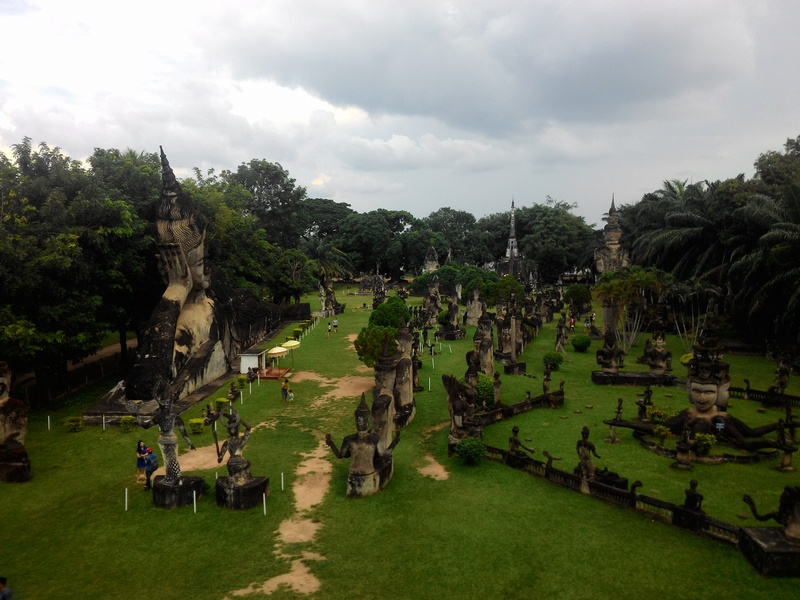 I proceed to rent a bike and headed to the Buddha Park, a famous attraction in the capital. 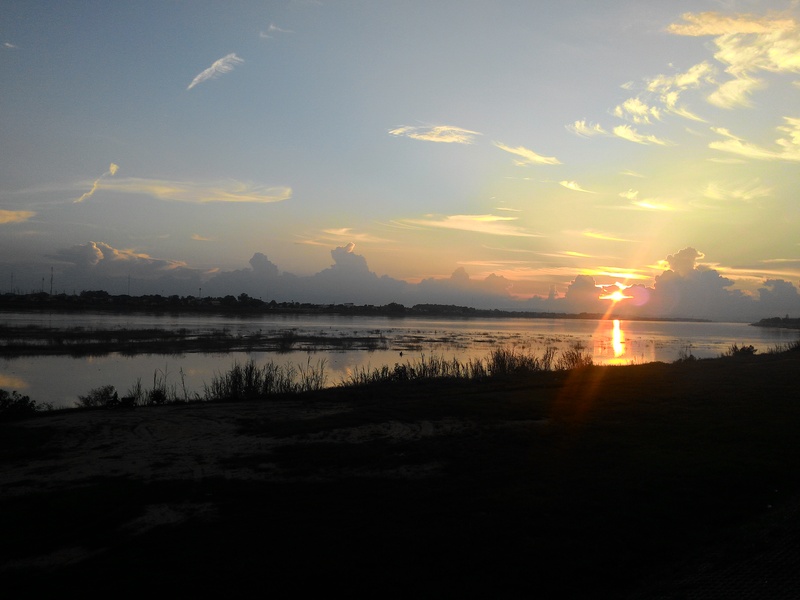 Followed by catch the sunset at the Mekong River. I wasted time in Vientiane as the bus schedule to Luang Prabang only starts off after 6pm onwards. 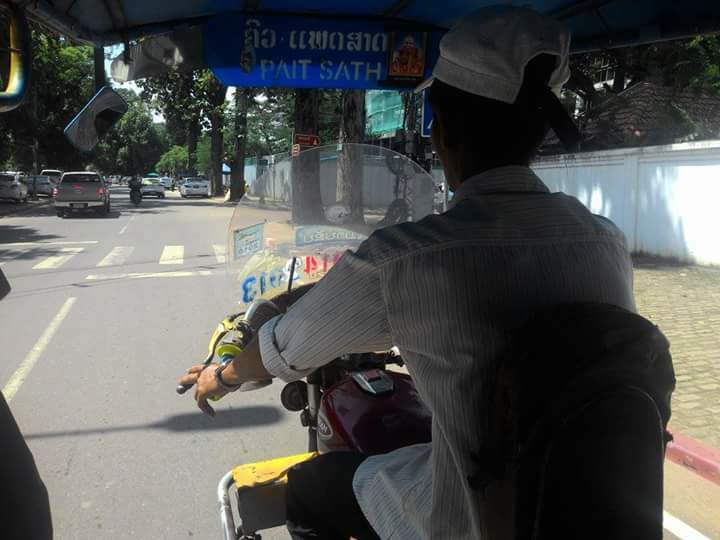 There is nothing much to do in Vientiane here so I wondered around talking to people while waiting for the bus. The bus ride is approximately 12 hours and I took the best option which is the sleeper bus, for 180,000 kip. 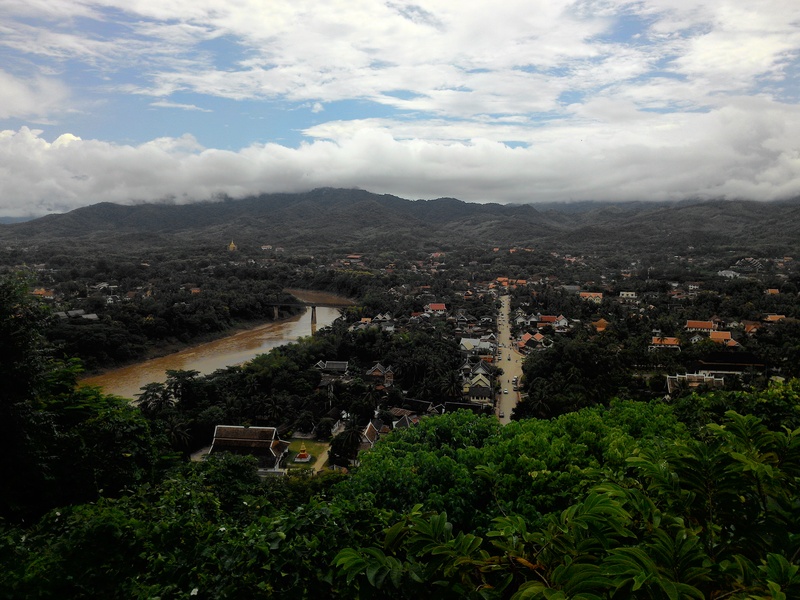 I reached Luang Prabang early in the morning around 6 am. Again, hunting for a place to stay. 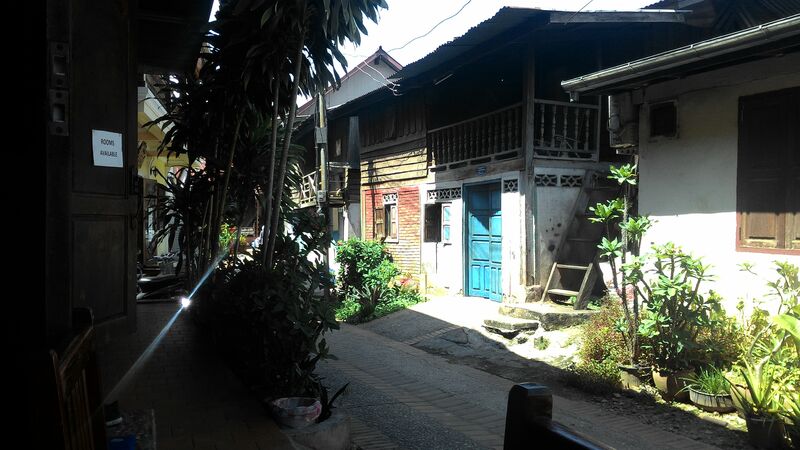 There were almost no hostel to be found so alternatively, I have to just to accommodate at a guesthouse. 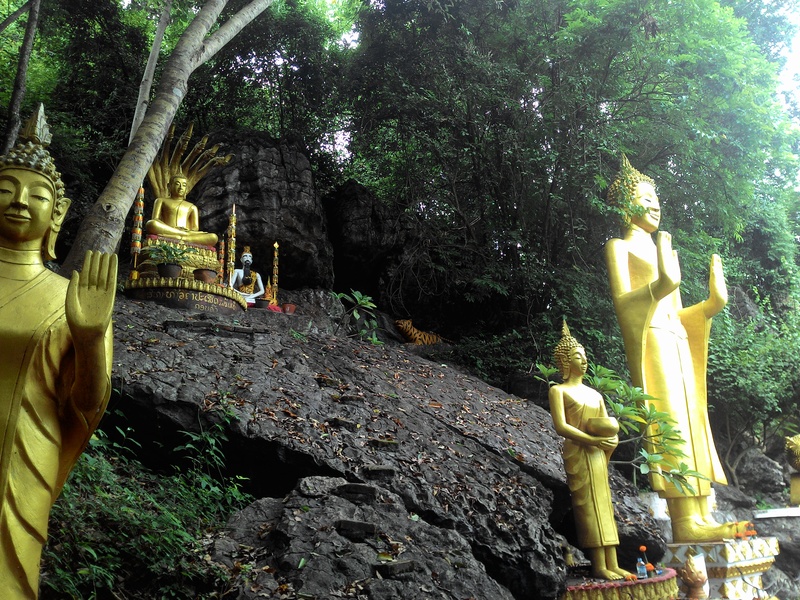 I got settled down at a guesthouse and proceed my way to Wat Wisunarat and ascended to Mount Phousi, which is just a walking distance from the guesthouse. 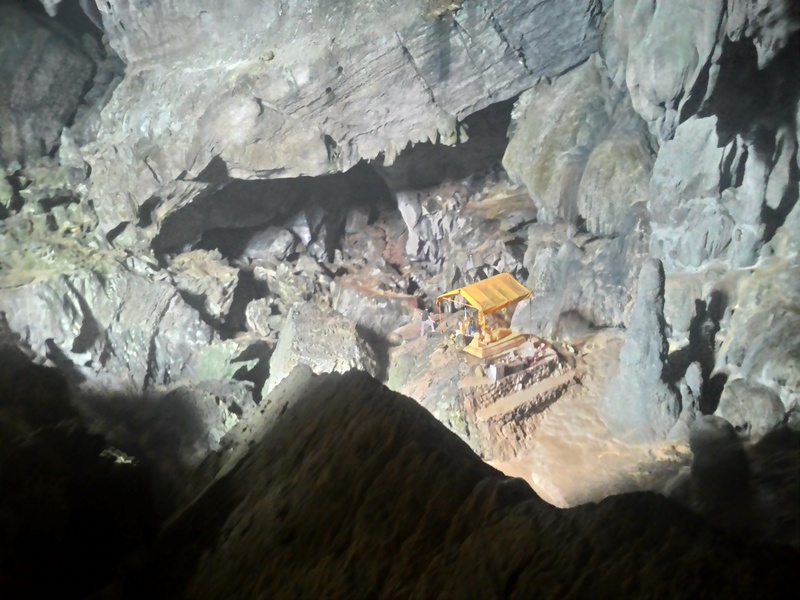 Its just a short ascend of 100m and lies in the heart of the old town peninsula and is bordered on one side by the Mekong River and on the other side by the Nam Khan River. 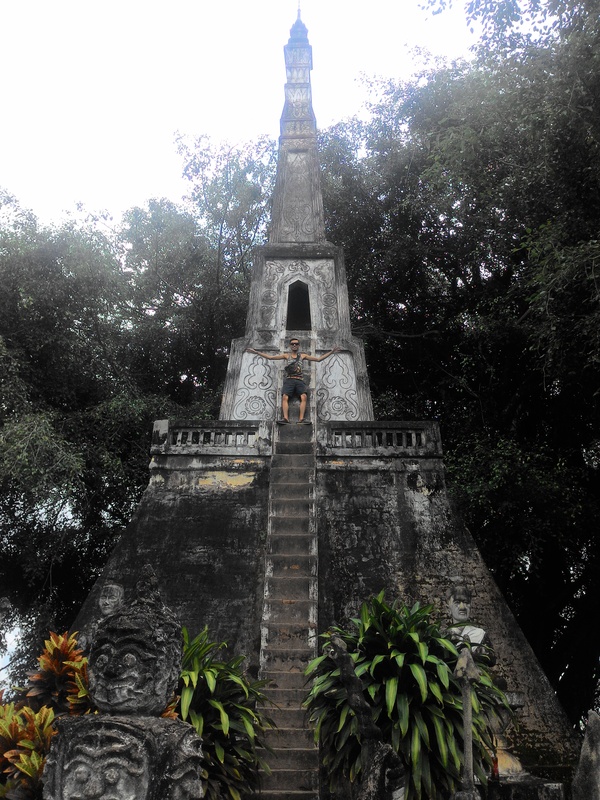 Next up, i took the săhm-lór and headed to Kuang Si Waterfall, the one that I heard was one of the best in Southeast Asia. After what I’ve seen, there is no doubts about it. 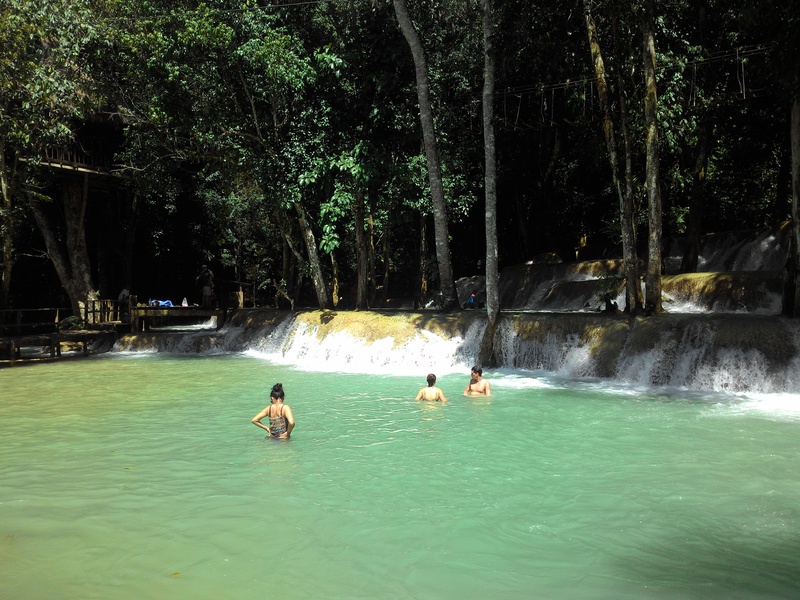 Since Luang Prabang is a waterfall paradise, one waterfall is never enough. 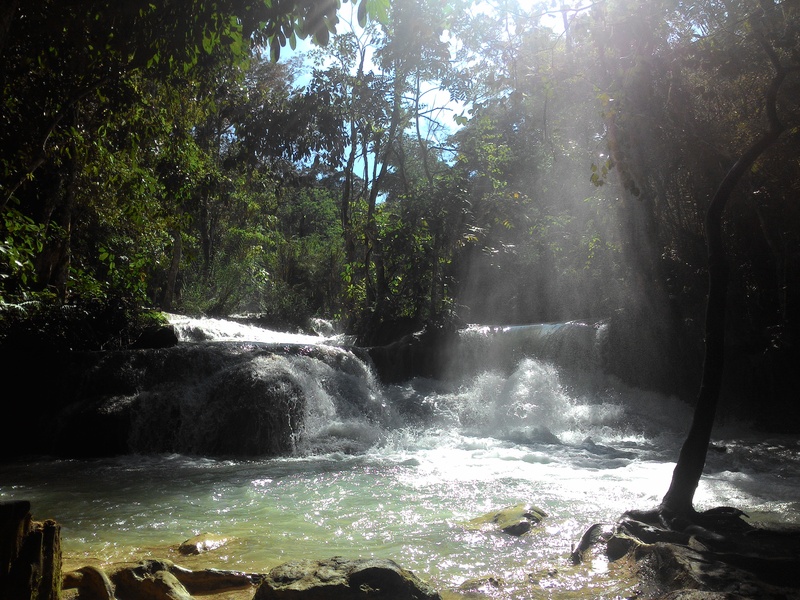 I headed to the relaxing Tad Sae Waterfall. 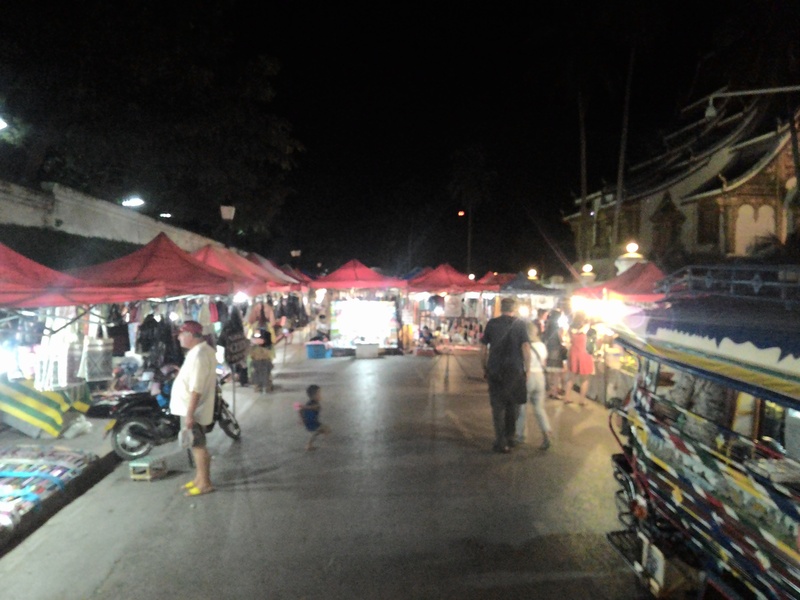 I spent my evening roaming around the night market and dinner with my friends along Nam Kham River. 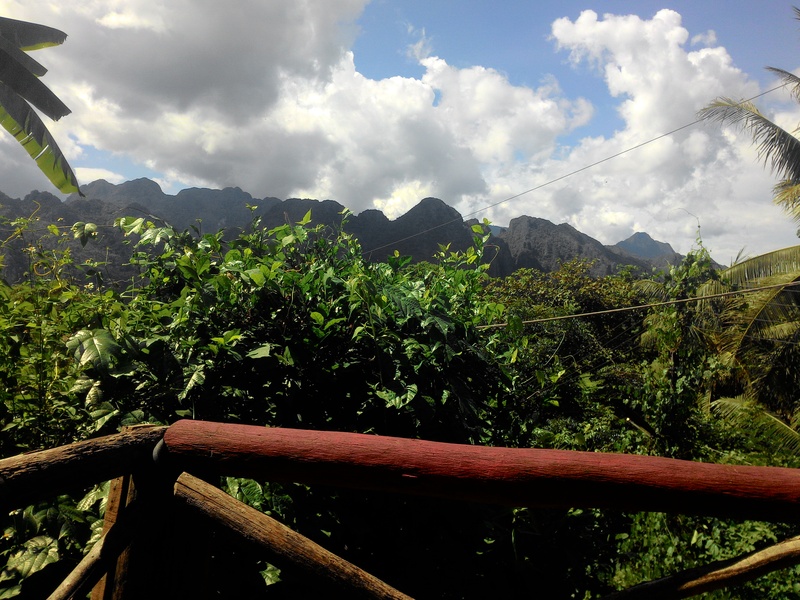 Early in the morning, I took the mini-van and headed down to Vang Vieng. It was a short 4 hour ride. 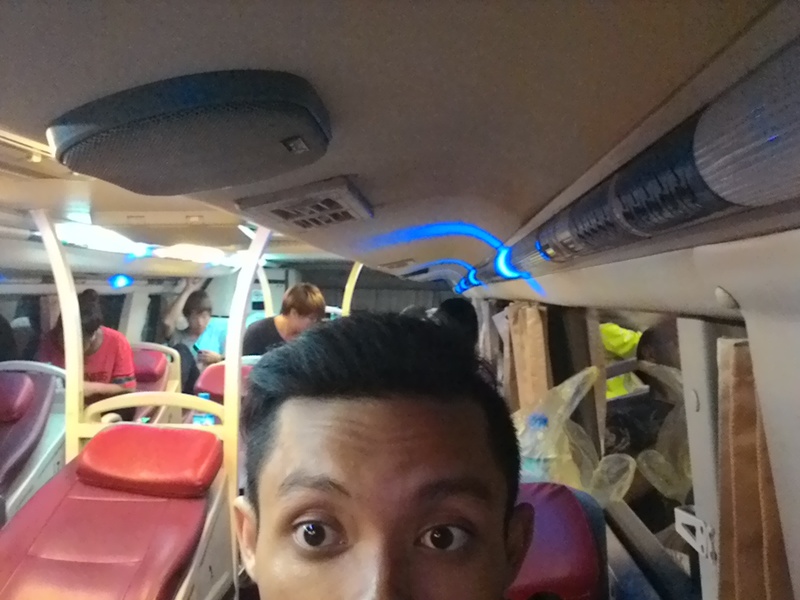 I headed to find a hostel and found the EasyGo Backpacker Hostel. 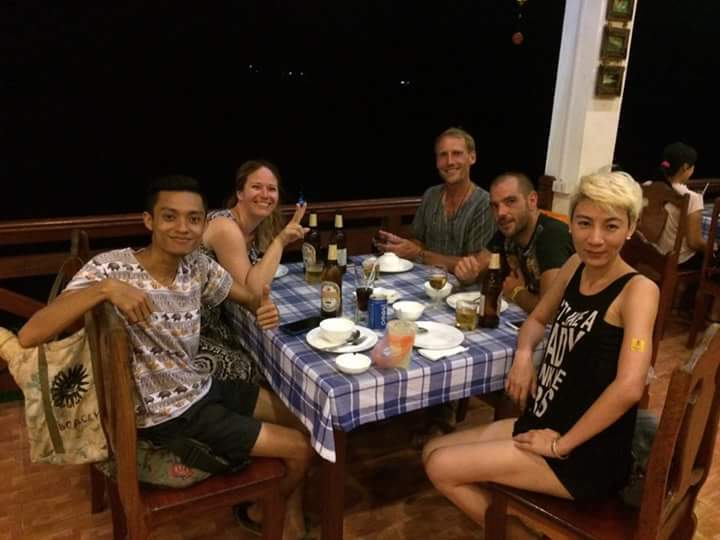 In the afternoon, I headed to the attractions in Vang Vieng which is the Blue Lagoon and the Phu Kham Cave with my newly founded friends from Germany! 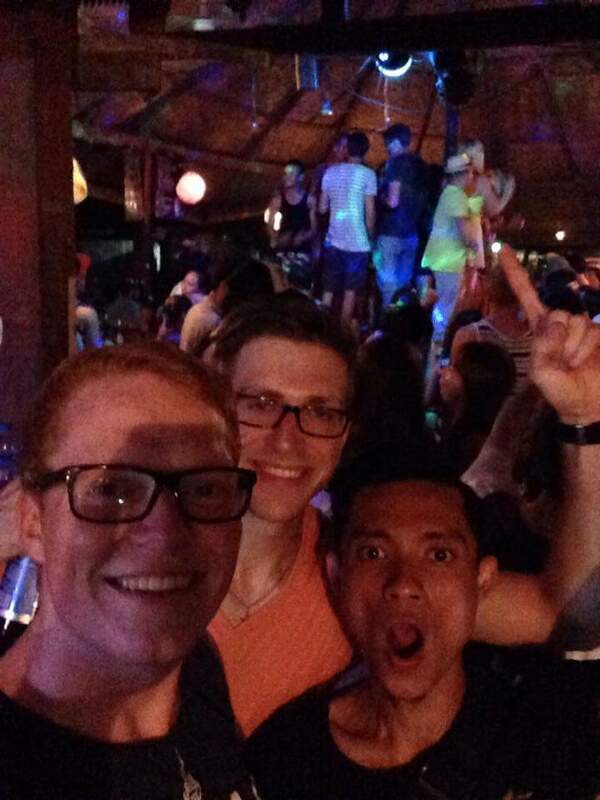 and spent my evening at the famous Sakura Bar, definitely the best in Vang Vieng. 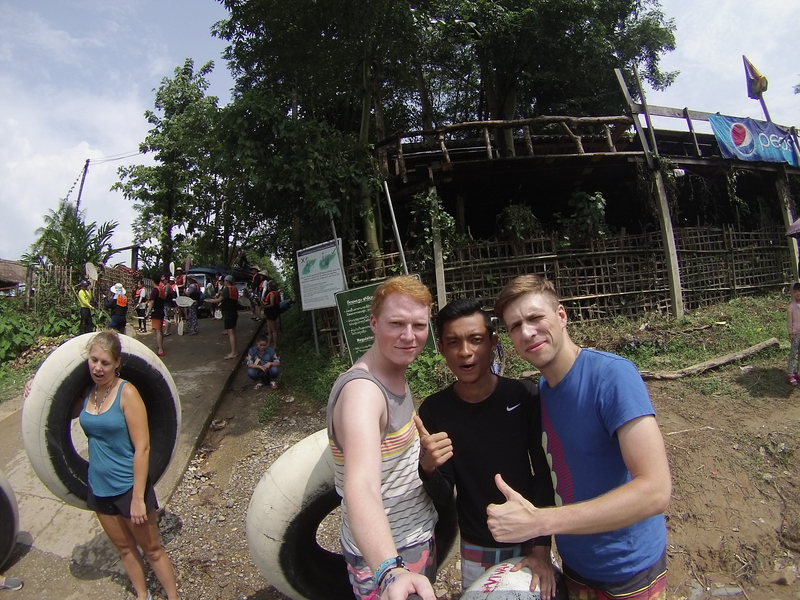 And the whole day was spent on Tubing along Mekong River! 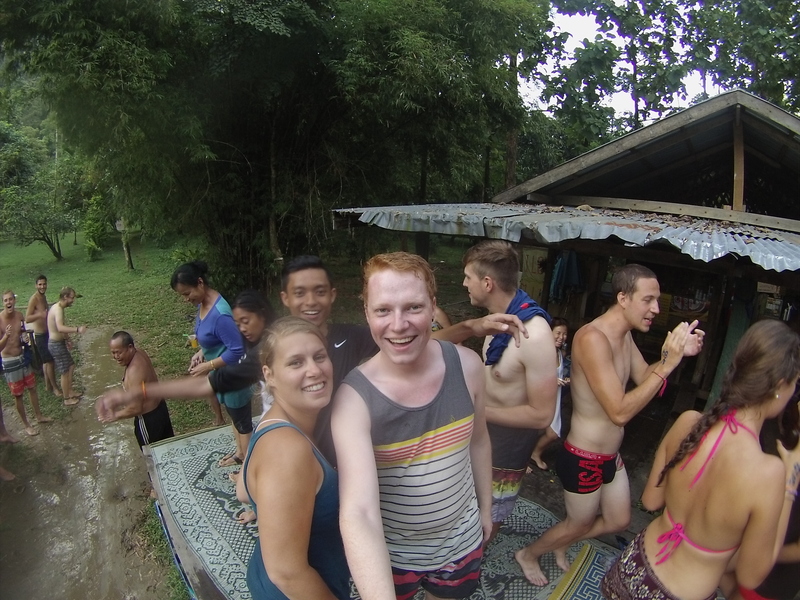 A must do in Vang Vieng! 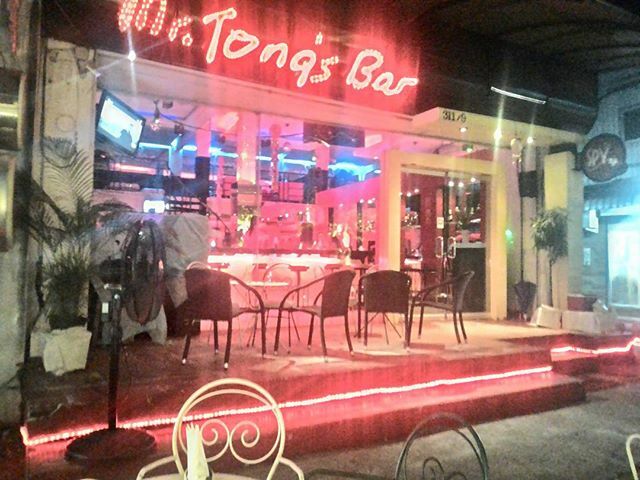 4 bars to stop and the only time you could party all day! Definitely the reason why it is a backpackers paradise. 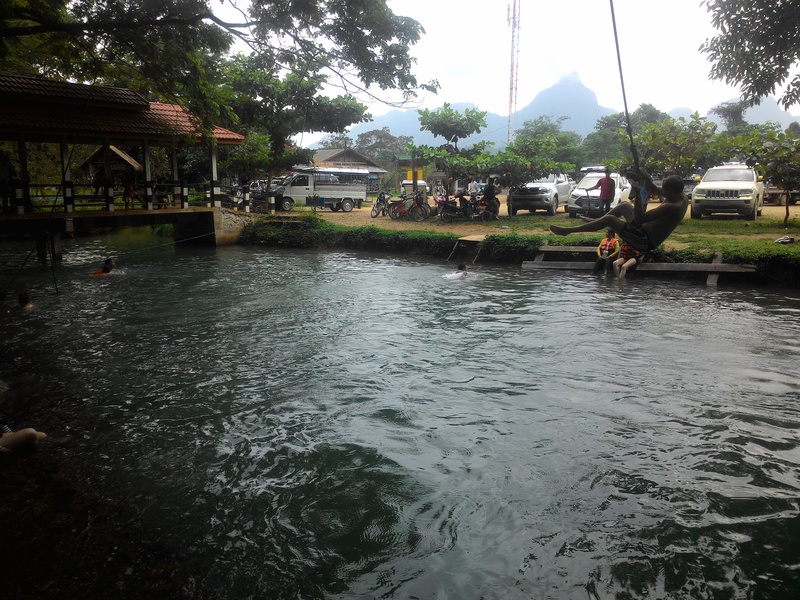 Hi, how much was the minivan from Luang Prabang to Vang Vieng? Does it depart hourly? 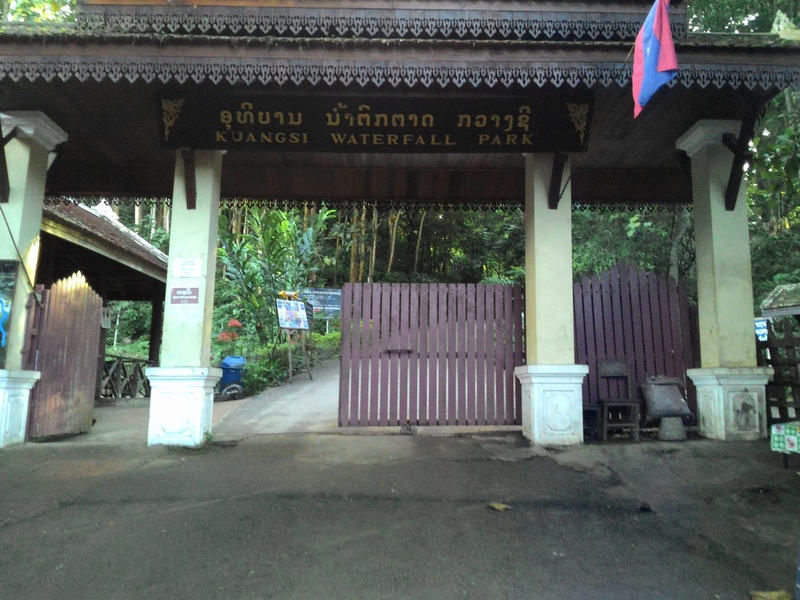 Thanks 🙂 And nice informative blog on Laos! Hey there! 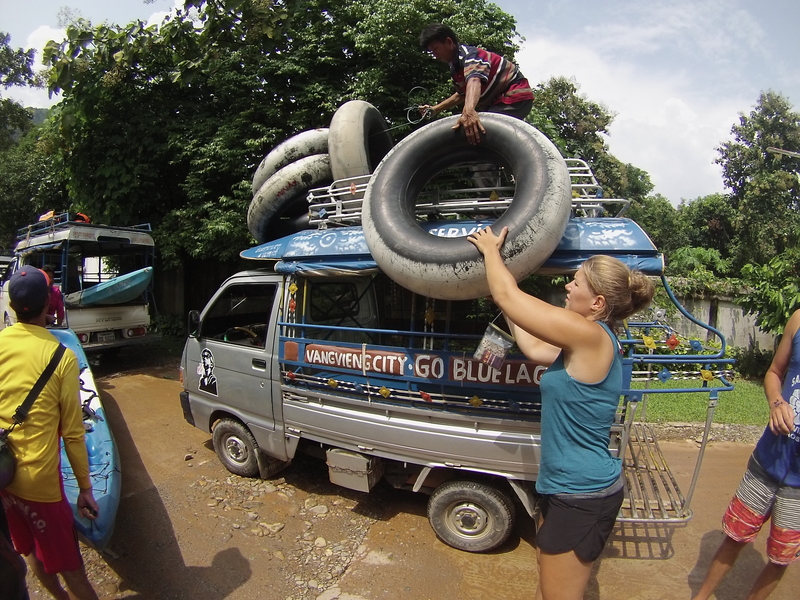 The minivan cost me around 120,00 kip (15USD) for a 6-7 hour ride. Sorry, it doesnt depart hourly. I’m not sure about the timings but it departs 4-6 times daily i guess. Thanks for sharing! Safe for ladies to travel with your itinerary? 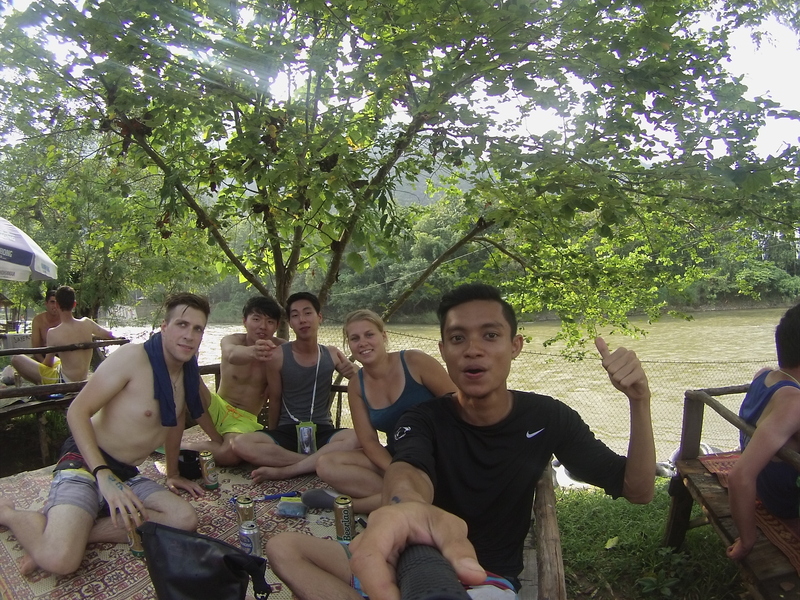 Yes, i have doubts about Laos at first but surprisingly Laos is safe, people there are so friendly. You will meet plenty of solo travelers there. Yes there is. But i’m unsure where to get the bus. 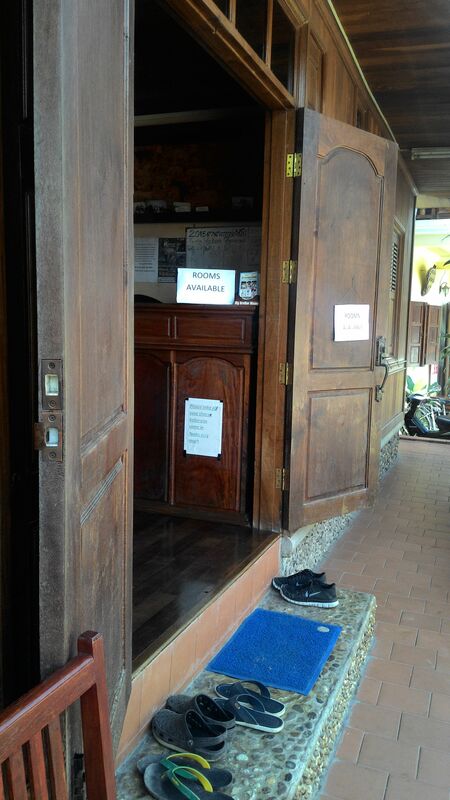 Try asking your hostel front desk, they are very informative. I plan to go in December (5 days). 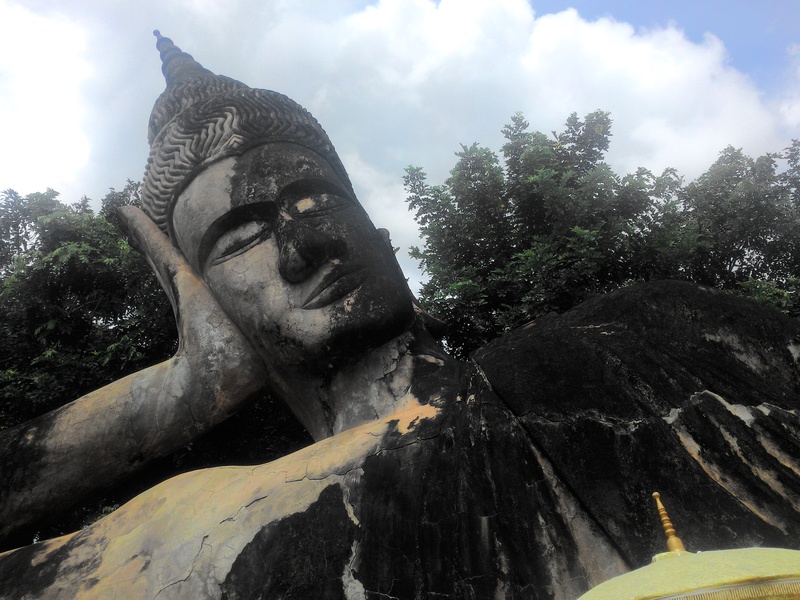 do you think i should spend 90 bucks for Vientiane to Luang Prabang to save time? How many days do u suggest for VV, VTE and Luang Prabang. Is udon deserve to squeeze into a day trip? Sorry for so many question. 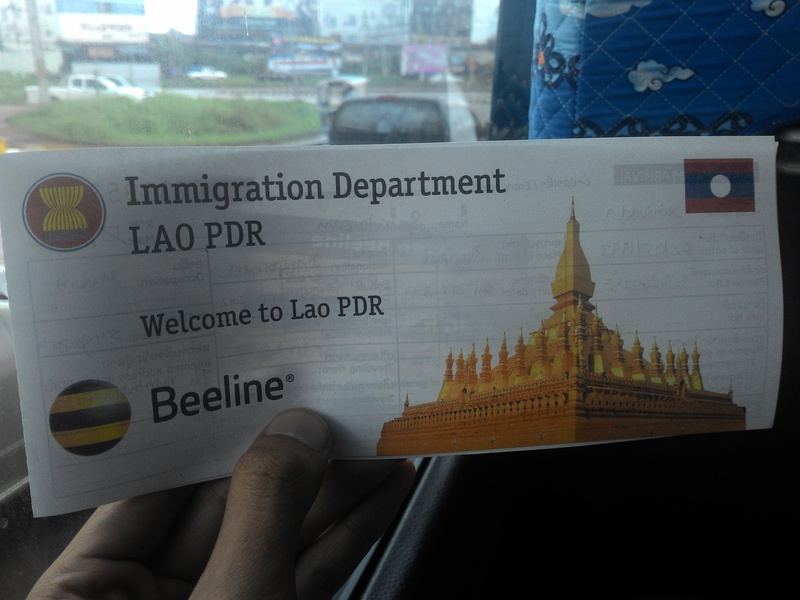 Due to time constraint of 5 days, i suggest you should spend 90 bucks for Vientiane to Luang Prabang. VV – 2-3 days is good enough. VTE – 0.5-1 day there’s nothing much to do, only plenty of memorials, museum, parks. LP – 2-4 days would. Plenty of waterfall and other attractions. A day trip in Udon is possible however you need to check on the bus schedule. 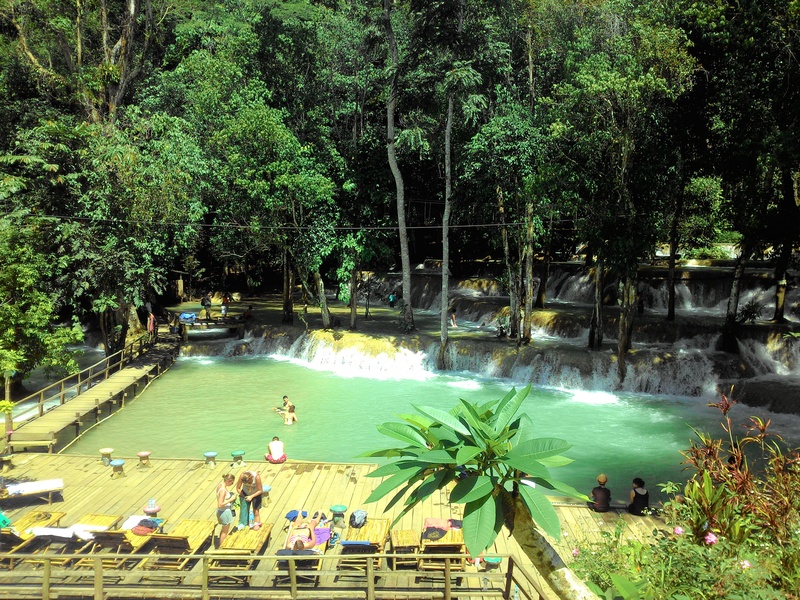 No worries, you could just ask if you have any doubt and enjoy Laos! Hi if I plan to fly down from Singapore and plan to cover VV and LP, which is the best airport i should go to ? You can only fly to LPQ or VTE, so if you are not going to VTE then best would be LPQ as VV have no airport. Im going there in November and only have 4 days to spend. 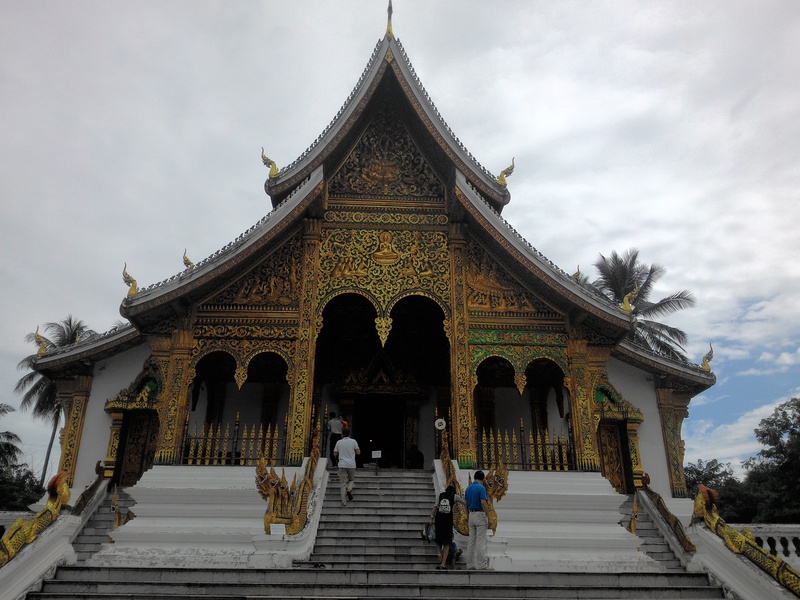 Im flying to Vientiane and want to visit Luang prabang and VV as well. But considering 4 days will not enough to go all 3 cities. Could you please advise which one is worth it. Vientiane-VV or Vientiane-LP? 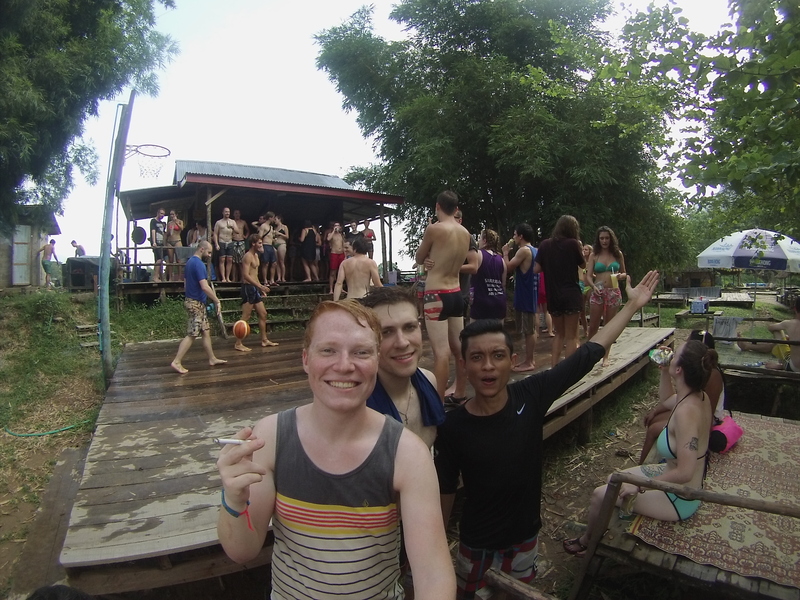 If you wish to party, VV it is. If you like waterfalls, LP has it all.